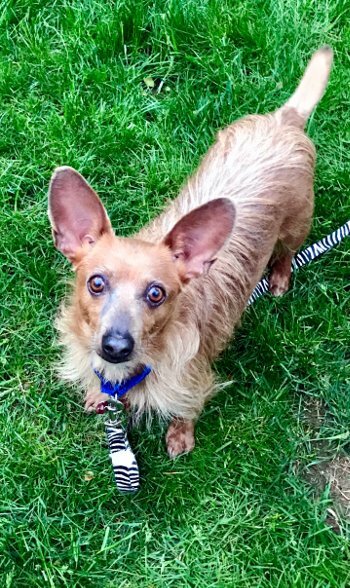 Tommy is a 3-year-old Dachshund/Miniature Pinscher mix who weights about 12-14 pounds. (But don’t tell him that, he is certain he’s a Great Dane.) 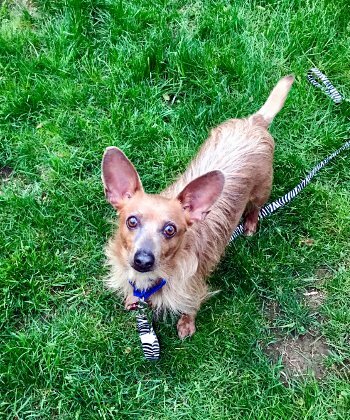 With his low-rider Dachshund-style body, amazing ears, and big personality, he is truly one of a kind! 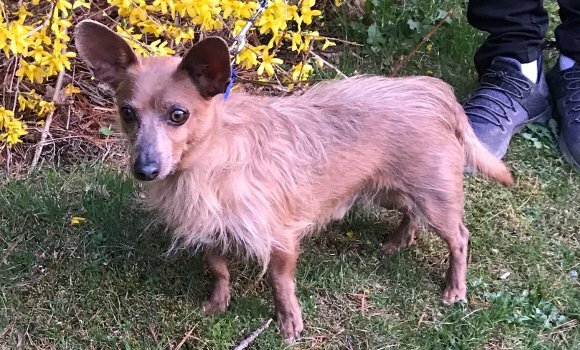 Tommy had a cushy start to his life; he was doted on by his elderly owner who was unable to care for him due to her own health issues, so he ended up at a kill shelter for a brief time until we found him. 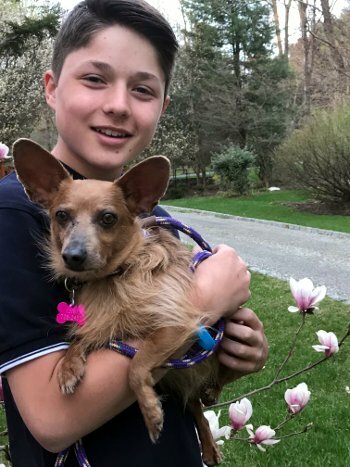 Tommy’s very affectionate and loves playing with his toys, riding in the car, and going for walks with his foster family. He has a hilarious macho strut, you can hear “Stayin’ Alive” if you listen closely. ;). 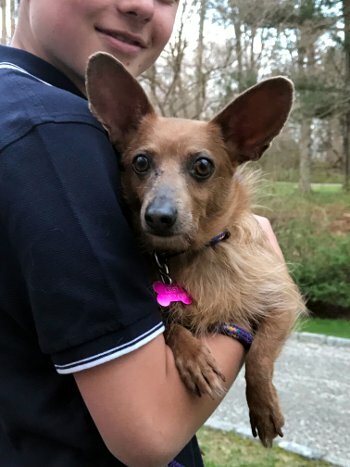 In his previous home, Tommy was the center of attention, so he definitely has a mind of his own and will do best in a home where he is the only dog (and he’s not a fan of cats). 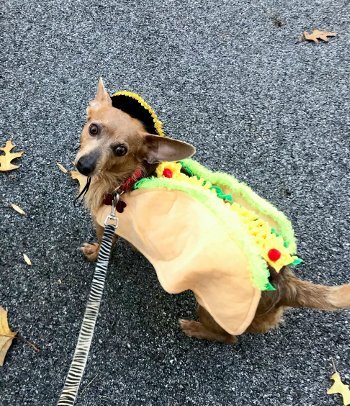 He has been having fun in his loving foster home, but he’s ready to be a permanent member of a family again. Top o’ the mornin’ to ya from Tommy!